Downtown Los Angeles from the 10 freeway. Despite what it may look like, no I wasn't snapping off shots at 65 mph — that'd be 105 kph for the metric set. This shot was taken during rush hour and traffic was grinding along at a slow crawl; so, I was snapping away at 15-20 mph [24-32 kph]. 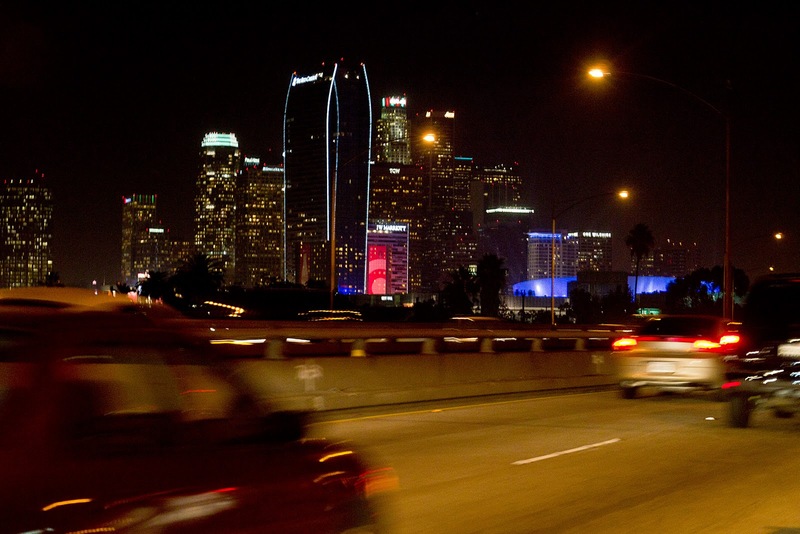 Probably not the smartest thing to do, but hey, what a gorgeous scene; L.A. at night. Yes, it's a little blurry, but I thought it might be slightly out of line to just stop the truck in the middle of traffic and step out for this shot.